Make a choice for the desired bonus and reveal its promo code. Then go to the bookmaker’s website and find the “Join Now” button. Click on it. A registration form will appear. You should complete a few steps to finish the opening account process. After every step click the button “Next”. During the process, you will be asked for personal details and deposit method. After completing the registration and your first deposit, you can bet at the website and get your bonus. Coral offers a whopping £20 welcome bonus to new customers. To get your hands on this brilliant offer, go visit Coral’s website. You can either click the Join Now option located at the upper right corner of the homepage or click the Offers tab, look for the offer then click the “Join Here” link. Both of these options will route you to the registration page then fill out all the necessary fields. After signing up, place a bet of £5 or more on a Qualifying bet to qualify for this bonus. You do not need a promo code to avail of this offer. However, these essential terms should be fulfilled before receiving the £20 bonus. First, this offer is open to UK and Republic of Ireland citizens who are above 18 years old and second, the Qualifying bet should be placed within 14 days of completing your account registration. Remember your bet on Tote and Pool will not be considered as Qualifying. Once these terms are satisfied, you will receive your £20 in 4 £5 free bets, and these free bets are valid for 4 days only. Cashing out on these free bets is also not allowed. Lastly, this offer should not be used in conjunction with other Coral’s promotions and offers. Coral offers a wide variety of casino games from the classic mainstays to the popular, most recent offerings. You can find all classic table games via the Live Casino Online tab. The Live Casino lets you play the roulette, blackjack and baccarat in the comforts of your own home and gives you the same intense feeling of thrill and excitement like you are sitting at the actual table. You can also choose from Coral’s famous selection of over 300 casino games like Gladiator, Rocky, White King, Craps, Joker Poker and a whole lot more. Enjoy a fun-filled, nerve-wracking online gaming experience and a bigger shot at winning a huge jackpot. This unique bookmaker brand also gives a generous welcome bonus of £50 with just a £10 buy-in. No need to enter any promo code so long as the significant terms are fulfilled. New players should complete their registration and should have £10 in their account to buy-in. Once done, the £50 welcome bonus will be automatically credited to your account. Remember, the bonus offer is valid for 30 days from activation. The bonus can be used on almost all Casino games except Poker and Bingo. You can also enjoy Live Casino and the Slots with this welcome bonus. Also, this offer should not be utilised with other welcome bonuses and offers. Work on those face muscles and perfect your poker face because Coral also offers a massive prize pool and a real-life dealing experience with various types of poker games and of course, the Live Poker. Along with these exciting poker, variations are special promos and offers. Coral always gives a warm welcome to new players through the Poker welcome bonus which provides them with 5 x €5 tournament tokens which should be used within 14 days of credit or 30 nightly £50 freerolls for just a £5 deposit on your poker client account. Aside from the welcome bonus, Coral has a long list of promotions like the Wild Twister, £100 Daily giveaway, Payday Payback, Daily and weekly free roll missions and a lot more. Details of these promos are specified on Coral’s website. Apart from the above-mentioned promotions and rewards, there’s still a multitude of fun bonuses and exciting offers to be given away. Who would not love an exciting game of Bingo? Coral has more than five million registered Bingo players and is believed to be running the largest Bingo operation in the world. By signing up and spending a measly £5 worth of Bingo tickets, new Bingo customers will get a £25 bonus. Remember, depositing and buying £5 worth of tickets should be done within 30 days after registration. Once fulfilled, the £25 bingo bonus will be credited automatically to your account. Lastly, the welcome bonus should be utilised within 7 days the minute it reflects on your account. Have you ever dreamed of going to Nevada? Let Coral bring Vegas to you. Dive in and feel the rush of playing these amazing slot machines and deal with those classic table games like you are in Vegas. You can claim the Vegas bonus by downloading the Coral Vegas App on your Apple or Android phones and devices. A maximum bonus of £250 will be given to new customers with a minimum buy-in of £5. This welcome offer applies to new customers from the UK and the Republic of Ireland only. Moreover, the bonus is valid for 7 days, and wagering requirements still apply. Coral’s Lottery section is every lotto fan’s haven. The site offers up to 15 types of the lottery with various odds to increase your chances of winning. Aside from this, a calendar posting the lotto results is a sage move. Coral has enhanced odds offer to give you a better shot at winning most especially in your first game. They also guarantee access to a 10% cashback every week. Go and experience playing lotto in every part of the world. This 3rd biggest bookmaker in the world caters to the needs of all its customers through almost all devices, from those physical betting shops in the United Kingdom to the Interweb through your desktops and laptops. The brand steps the competition up a notch by launching Coral mobile applications available for Apple and Android devices too. While the company offers a hefty welcome offer to new customers, Coral makes sure that the loyalty of their existing customers is valued and intensely appreciated. Numerous bonuses and rewards are waiting for all the betting enthusiasts. Go visit the official website of Coral for all available promotions and rewards. From its humble beginnings to being the United Kingdom’s most established bookmaker brand, Coral continues to flourish and expand not only in the streets of the UK but also in the online market. Joe Coral, the founder of the company, found his way in the betting industry as a runner of the bookie. In 1926, he began accepting bets from a billiard club. A year after, he decided to have his own betting booth at a greyhound racing track. The operation blossomed, and in three years, Joe and his business partner have employed almost 80 runners to collect bets from pubs and shops on their behalf. Joe’s fruit of labours was then recognised as the Coral organisation. Coral became the first licensed betting shop in 1961 after the Betting and Game Act of 1960 legalised cash-betting of the course. The legalisation made licensed betting known to high streets of England. This scheme skyrocketed Coral’s business, the cunning bloke laid large commissions which attracted large shares. Coral was deemed to be the best in London during that period. Coral’s expansion remained unstoppable all throughout the years until the present time. With over 1,800 betting shops, several company mergers and regional business expansions, the company is also a force to reckon with in the virtual world of betting. Coral conquered the online market through its vibrant and innovative website. Joe Coral passed away in 1996, but he left a legacy in the betting industry. The bookmaker’s operations thrived not only in sports betting but also infiltrated the insides of casinos and bingo halls. These and all of the other successful business ventures made Coral the oldest and the most recognised bookmaker brand in the UK today. Coral believes in providing convenience to its customers by giving them various payment options. All payment methods are posted in Coral’s official website. If you’re planning to open an account on Coral, it’s a wise move to make sure that you understand all the necessary concepts. You can read these FAQs to get quick answers. Can we avail of the welcome offers even though the customers are outside the United Kingdom? Welcome bonuses are offered to residents of The Republic of Ireland and UK only. Customers outside these countries could check their eligibility on the official website for promotions and other offers. Can we access Coral’s online betting services via our mobile phones? Yes, you can. In fact, Coral created a highly-remarkable virtual world accessible to everyone who owns desktops, laptops, and mobile devices. In addition to this, the bookmaker developed 5 mobile applications which will surely satisfy your inquisitiveness for online betting. Has Coral expanded to other parts of the world? No. Coral is still located in the UK but its online services are available all throughout the world. Yes. The validity of these welcome bonuses is included in the terms of each promotional offer. Correspondingly, these offers should be used within the specific time frame stated for each. Are we allowed to bet and join the online casino even if we are not high rollers? Yes. Everyone is encouraged to try their luck and register online. Plus, minimum bets are inexpensive and would not hurt your pockets. Apart from that, there are huge jackpot prizes at stake, and your chances of taking those home are pretty high. Do Coral’s mobile applications give out big prizes like the jackpot money of other games posted on their website? Yes. Each Coral mobile application offers welcome bonuses, jackpot prizes, rewards and promos as well as hourly tournaments too. Besides, the beauty of having these applications on your phone lies in convenience and accessibility. Play and bet anytime and anywhere. Do you get the welcome bonus instantly after you sign up on Coral’s website? No. Important terms and certain qualifications apply to these welcome bonuses. After signing up, you have to place a minimum bet to claim your welcome bonus. Once done, your bonus will be automatically credited to your account. Coral strives to attain an optimum quality of customer service by enabling its Live Chat Support. Customers can effortlessly reach out to customer representatives if there are any concerns or issues which are not found in the bookmaker’s official website. The representatives are available to assist the customers 24/7. 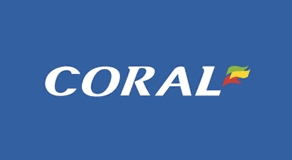 A well-known, reputable bookmaker brand, Coral has been a legacy in the world of bookmaking from 1926 until today. The company’s continuous expansion has taken the digital world by surprise. Online betting is now as more comfortable as ever, and Coral provides a multitude of online services which cater to the needs of all its customers, from the sports-loving punters, casino patrons, poker players and even the Vegas-style casino enthusiasts. Coral adapts to the ever-changing trends in society, and so far, the organisation has been successful in all of their undertakings. Coral provides a fun-filled online betting experience by promoting responsible gaming. This 3rd biggest bookmaker in the UK deserves a 9 out of 10 rating.